Category for Content slider display. Please put featured images of 600 x 300 px. Please put description on the image using picture editor such as fire works or photoshop or equivalent. Reading Problem Can be Eye Problem! My kid has no eye problem. He has 20/20 vision but he does not like to read just like his dad. Are you sure he has NO EYE problem? 20/20 only means that an eye can focus small letter at 20 feet away. 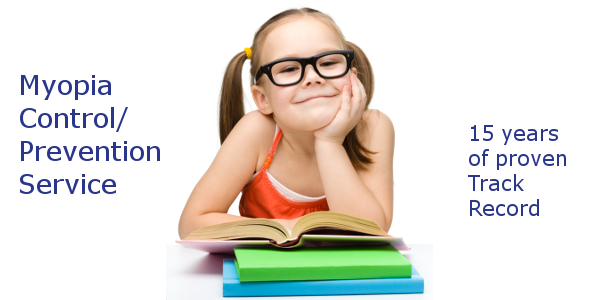 A kid with even moderate farsightedness can get 20/20 easily depends on age. But surely he will have some reading issues if he has farsightedness. 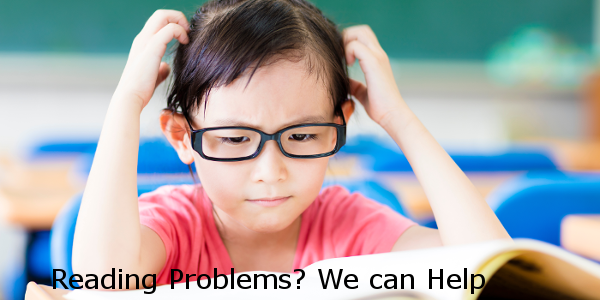 Misalignments of the eyes can create reading problems even with perfect 20/20 vision. Reading needs good focus and good tracking skills. Focusing and tracking (following the sentences) should be automatic like walking so we can look around while strolling neighbors. If you have misalignment, it can be difficult to follow the sentences when you read. Your mind can be preoccupied with following the line as a result little attention is left for meaning of sentences. You went through paragraph but you are not sure of what the paragraph is saying. So you re-read. Routine eye exam is focused on finding vision corrections and health of eyes. It may not provide enough information to rule out such as misalignment related issues. Misalignment related issues can be determined by binocular vision exam. A through binocular vision exam can pinpoint out source and extent of problems including misalignments. A detailed binocular vision exam can take more than an hour in some instances. Depends on type of binocular vision problems, we use different type of treatments. 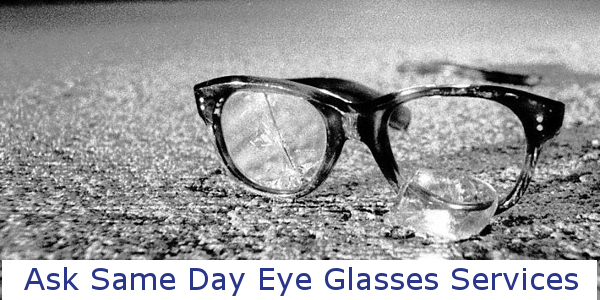 The fix can be as simple as a pair of glasses. Some cases might need vision therapy ( eye muscle exercise). Few cases even need a surgery to lessen the misalignment. Do you need Glasses in Hurry? If you are busy and can not wait for your glasses to be made, we can help you to get them made in an about an hour. We can make most prescription eye glasses while you wait. We stock most prescription eye glass lenses. We stock most prescription eye glass lenses with the Anti-Reflective coating (AR) option. We have an optical lab on site, offering our patient’s fast and friently service. Please call us at (248) 332-0200 for more information on your prescription and eyeglass needs. 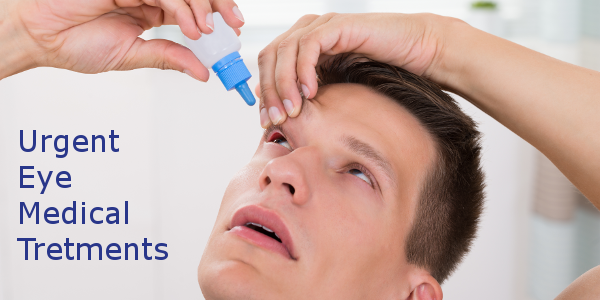 Eye infections, red aching eyes, foreign bodies in the eye and certain other eye conditions can not wait until the next available appointment. We welcome urgent eye appointments any time. If you need to see our doctor after hours, please call us at (248) 332-0200. If you call and receive our answering machine, please leave a message including your name and phone number. We will return the call as soon as possible. Is it possible to prevent progession of Myopia? There have been some preventitive measures taken, but most have proven to not be very effective against myopic change until the year 2000. 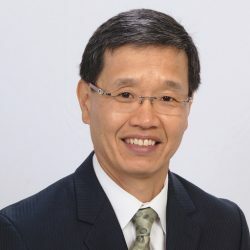 This was the introduction of a new corneal molding technique that really revolutionized to stop or slow down myopia from progressing. This is done by the use of a rigid gas permeable contact lens that is warn while the patient sleeps. The lens are made from an overnight contact lens material designed specifically for this purposes. If you or someone you love suffers from Myopia, call our office today at (248)332-0200.